Barcelona have announced that Eric Abidal has been diagnosed with a liver tumour and that the French defender will undergo surgery immediately. 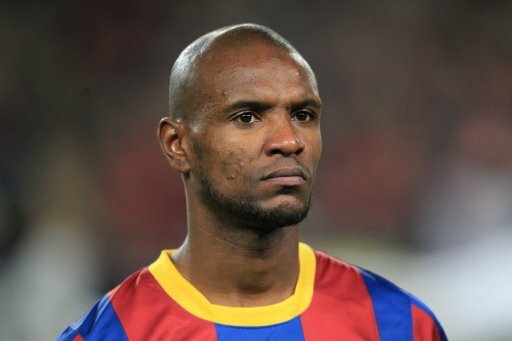 “A liver tumour has been detected in the player Eric Abidal and he will be treated surgically next Friday. Barcelona also issued a short statement on their website, adding that Abidal will be operated upon at the BarnaClinic Grup Hospital Clinic, which is situated within the city itself. A hearty ‘get well soon’ also goes out from everyone at Pies. FORÇA ABIDAL!! Esperem que et millores!!! Abi you are one of the best defenders of Barcelona, therefore i wish you all the best and speedy recovery. to Eric`s family we are with you all the way, May God bless him and bring him back barcelona needs him alot. Josephine, a barcelona fan from Namibia. I wish you sooner recovery abidal…You are very important in Barca’s team.